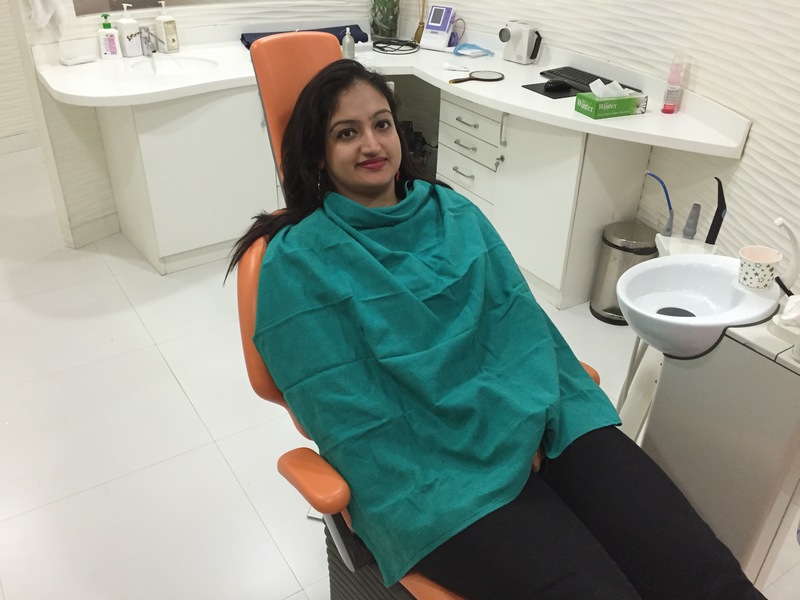 Team ChicLifeByte was recently invited to Apollo White Dental Spa located in Greater Kailash for a dental spa + manicure, pedicure and massage chair. I was confident that my teeth were in perfect condition but still I thought of giving it a try. After all, precaution is better than cure. As I entered the place, not for a second I could think that I was entering a clinic. The place looked marvelous with its chic décor. For a minute I thought it as a hotel lobby. I was warmly greeted by Ms. Samta Marwah, Senior Guest Relationship officer who also familiarized me with the clinic by taking me around. I was quite impressed by the state of art infrastructure. What immediately took my attention was that there was something for every age group. The kids room (yes, there was a different kids room) had a caterpillar chair, for young adults there was complimentary manicure and pedicure. 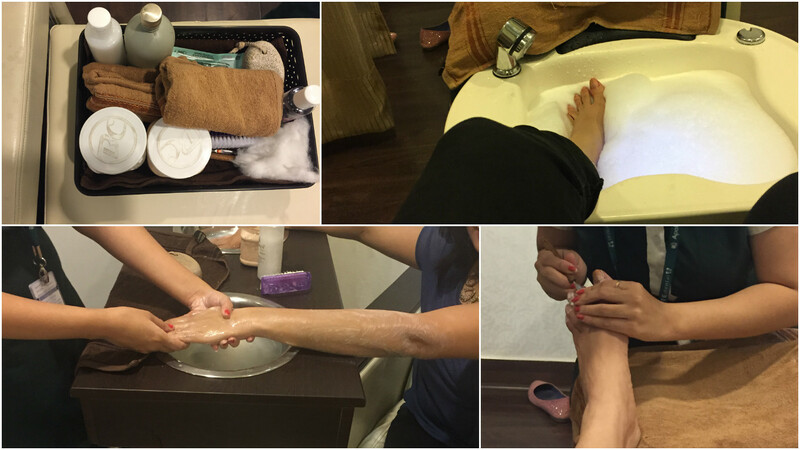 The free manicure & pedicure was especially for people who accompany patients. Isn’t that a noble thought!! The clinic is designed to give a different feel. It even got nominated for the best design clinic at Famdent. Headed by Dr. Neeraj Verma, designated as the clinical director of Apollo White Dental Spa has even won an outstanding dentist of the year award from Famdent and has around 35 yrs of experience. I definitely needed some pampering so I was taken to the spa area first. We started with pedicure and I must say that the pedicurist was extremely proficient with her work. Next was manicure which was equally great followed by the massage chair. After my pampering session it was time for my dental check up. Though I was confident about my teeth but was still nervous while walking towards the dental section. It was like giving my board exams. While entering I was asked to tap in a box kept on the side and woah! There was polybag on my freshly pedicured feet. I liked it coz this showed how particular they are about hygiene. I was made to sit on the reclining chair where the doctor examined my teeth. I was quite happy when the Dr said that my teeth were in perfect condition. I opted for scaling (cleaning of the teeth) which one should get done every six months. Scaling was a ten minutes job which followed rinsing. What I liked was that the rinsing happened with a flavoured mouth wash which tasted great. Apollo Dental Clinic is known for its wide range of services. Some of them are Aesthetic Dentistry (tooth jewel, teeth whitening, Recountering of teeth etc) Laser Dentistry (tooth sensitivity management, Cavity detector etc), Smile Designing (self ligating mental/ceramic braces, lingual braces etc), Pediatric dental care (pit & fissure sealants, fluoride varnish etc), Gum Care (Bleeding gums, bad breath control), Speciality treatments (dental implants, oral cancer screening etc). 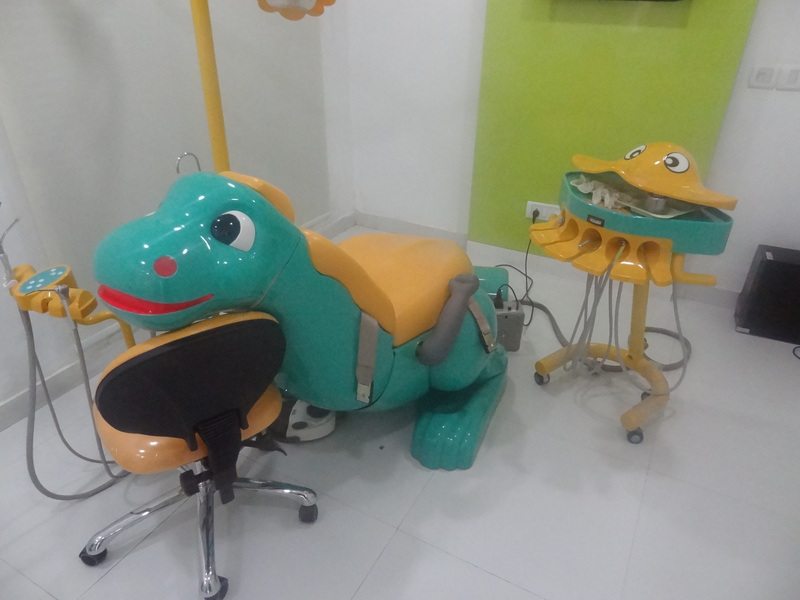 The clinic surely brings together World class technology, expert doctors, and quality dental services. It boasts of a list of celebrity clients – from Prince of Saudi Arabia and his family to politicians and designers. The list is endless. 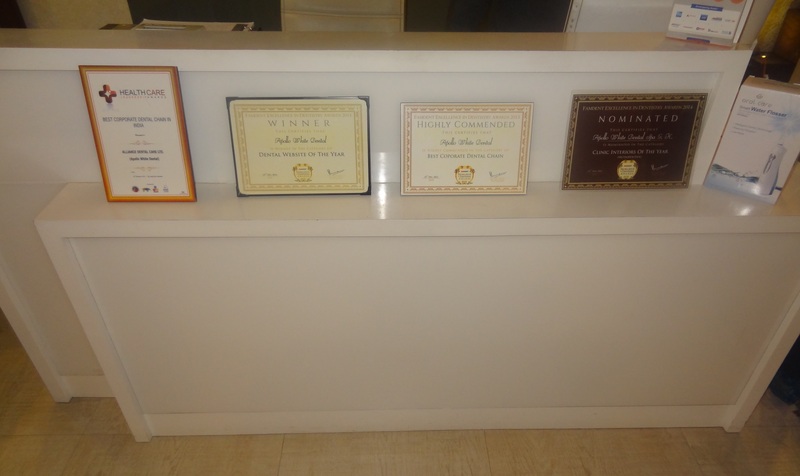 Like we have spa for our body, Apollo Clinic is a 7 Star DENTAL Spa. The World Class ambience definitely makes your complicated treatments look simple. The clinic is open from 9 to 9, though the pedicure, manicure section is open till 6. We see a time advantage here. The clinic sees a lot of businessmen in the morning hours and working professionals in the evening. The clinic ensures that atleast 2 doctors are present at all time so that patients don’t wait for too long. Do try out the clinic for your treatment, whether it’s scaling or teeth whitening or tooth extraction. I am sure you will fall in love with the peaceful environment.